MediahighFive understands exactly where you are, where you're coming from and where you want to be. You want more sales, you want more leads, you need better-qualified customers, and a much greater company and product visibility. 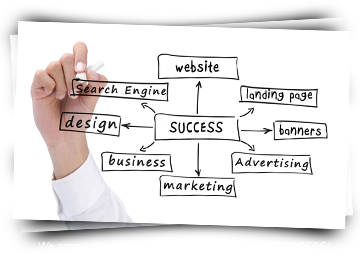 We understand that you don’t have any more extra free hours in the day to make your marketing goals a success. Well MediahighFive can and will help. MediaHighFive is an award winning full-service web marketing, media, design, development and advertising firm dedicated to providing the right services for businesses and organizations looking for an increase in leads, higher online visibility, a great corporate brand look and feel and better brand reputation.